2) Submit a ‘no charge’ order to add the CallScripter license to the customer account. 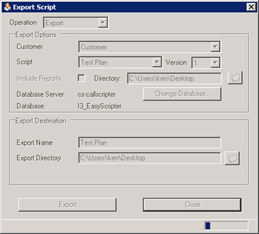 4) Production Licenses will be converted to 4.0 CallScripter licenses during the upgrade request, so you need to plan ahead for the script conversions. 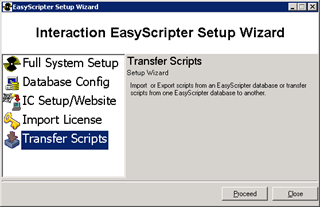 Each script can be exported from EasyScripter using the Interaction EasyScripter Setup Wizard tool.